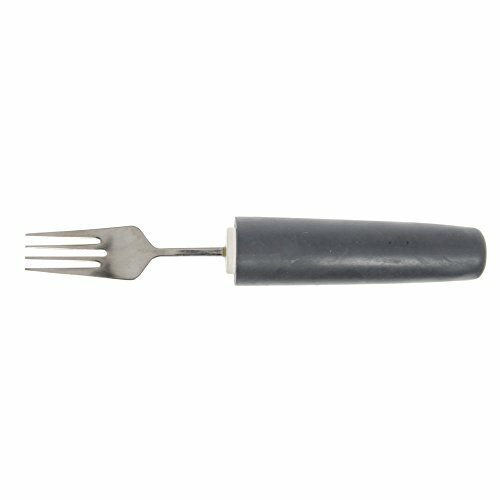 Comfort grip fork is a stainless steel utensil with soft contoured handle. Lightweight and non-slip surface handle makes the utensil great for hands with limited grasping ability. This Comfort grip fork design will not irritate pressure points. After use, place in dishwasher for quick and easy cleaning. The Comfort grip fork is one piece of cutlery available, sold separately. If you have any questions about this product by MADDAK DBA SP ABLEWARE, contact us by completing and submitting the form below. If you are looking for a specif part number, please include it with your message. Kinsman Enterprises Weighted Universal Holders Deluxe Handle, Adult - 1-1/8"